Paying homage to the mid-century design, fashion, and white on white style, Los Angeles-based artist Korin Faught creates elegant and subtle figurative paintings that are imbued with an atmosphere that is somewhat mysterious and dark. Building her recognizable style as a student already, she uses a limited palette and portrays her models in puzzling moods. 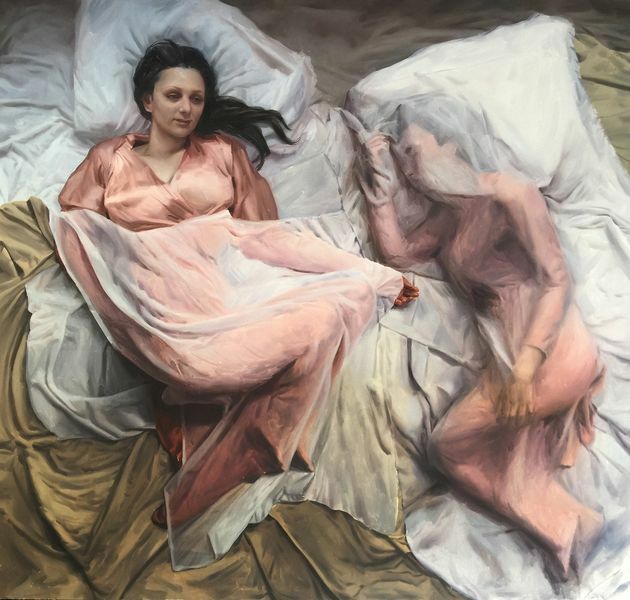 Prevalently having women as her inspiration, human figures in her works seem full of longing, cut off from the world in their melancholy, simultaneously ethereal and sensual. 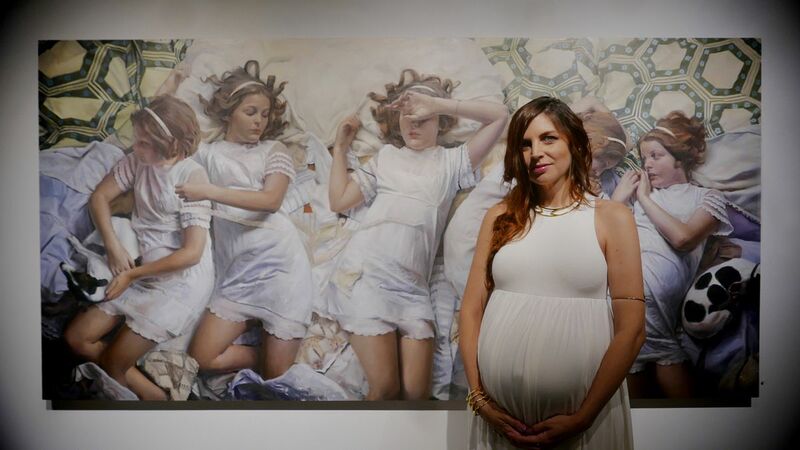 Her work is honest, beautiful and evokes a Classic era of feminine fragility. 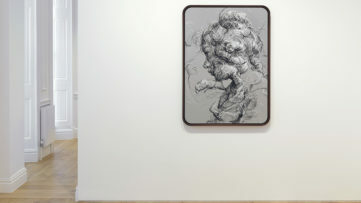 Faught’s latest body of work titled Lost Days has been recently exhibited at Corey Helford Gallery in Los Angeles. 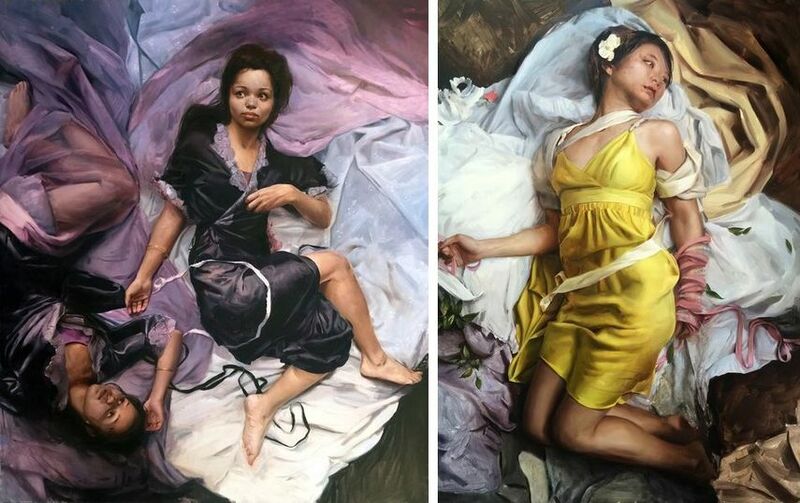 In these new detailed paintings, she uses multiple poses of the same female model to create a twin effect, or what she would call a “meta portrait”. 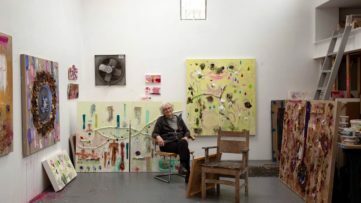 Through this specific juxtaposition, she aims to describe both one moment and all moments, creating a place that is both self-referential and omni-referential. 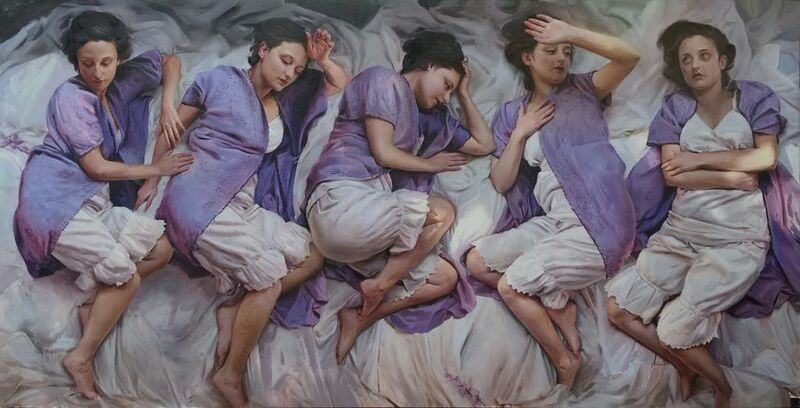 Twins and triplets are a recurring motif in Faught’s work, contributing to the surreal and slightly uneasy feel of her paintings. Depicted in intimate settings, her figures look both familiar and iconic. We sat down with Korin to find out more about her latest body of work, duality as a recurring motif in her work, her artistic process, her influences and inspiration, future plans and projects, and much more. 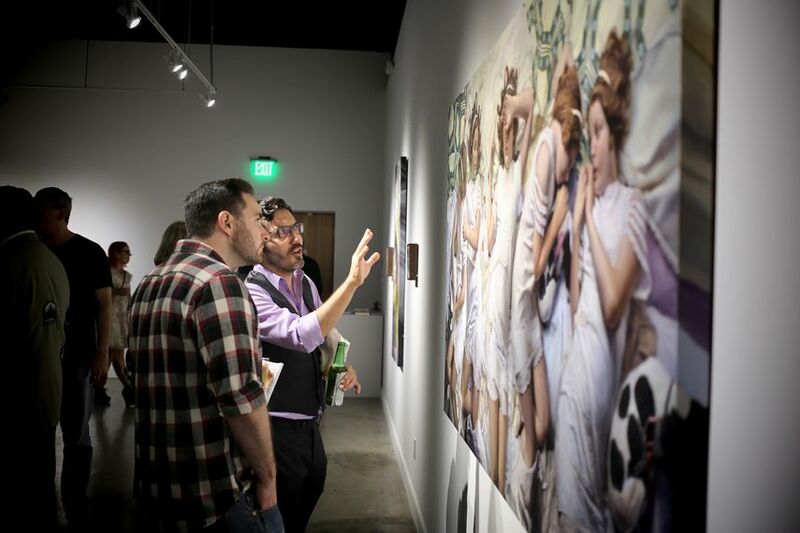 Widewalls: Your work is currently on view at Corey Helford Gallery in the exhibition titled Lost Days. Could you tell us something about this new body of work?This is an exhibition of my newest body of work. It took me 5 years to complete. 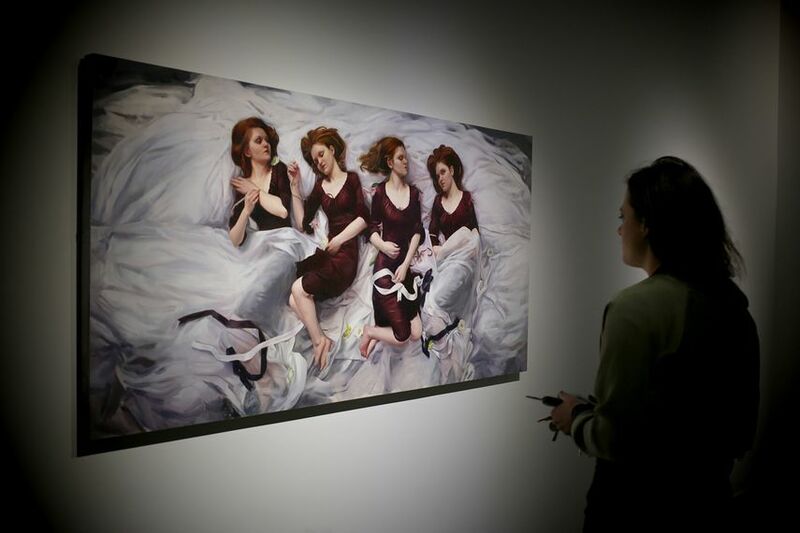 The large figurative paintings have commonalities of perspective, format and color pallet. You will see bedding, multiple figures, lace and elements from nature. I’ve been told this new work has a romantic, dream-like quality. Widewalls: Multiple perspectives of one subject within a single composition is a recurring theme in your work. Could you tell us more about this concept of duality? KF: My intention is to explore the nature of self. I manipulate my subject until a type of “meta-portrait” emerges. I feel that this theme of duality in my work allows me to express a more complex relationship of the subject with itself. 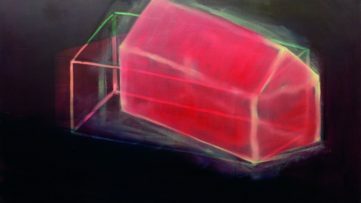 Widewalls: Your paintings are moody, dark and imbued with an aura of mystery and are often described as gothic. What informs your practice and how would you best describe your work? KF: I have a love affair with darker themes in literature and art. I find horror and science fiction films especially fascinating. Some of my paintings reflect this but it isn’t a conscience decision, in fact, I find myself struggling against the urge to include dark and even horrific elements in my work. Widewalls: You mostly choose female form as a subject of your work, could you elaborate on this? KF: I have painted male subjects in the past, but it’s true, I do prefer to paint women. The female form is a comfortable visual vocabulary for me and self-referential. Because I have been a woman my whole life, it seems important that I paint female forms. Obviously, my personal history is rooted deep in the feminine experience. Widewalls: Could you explain your artistic process, from choosing a model to translating it to the canvas? KF: Typically, I use friends and family as my models. I’m drawn to expressive eyes and beautiful glowing skin. I dress, pose, style and photograph my subjects then digitally manipulate the photography before using the final product as a reference for painting. I require dozens of photo shoots per show and hundreds of photos per painting. Widewalls: Who were your influences and whose work do you appreciate the most today? Do you find inspiration in other media besides visual arts? KF: Turn of the century portrait painters like John Singer Sargent, contemporary painters like Jenny Seville, and surrealist directors like Alejandro Jodorowsky, among other horror and science fiction writers and directors. I’m also inspired by works of Cindy Sherman and other photographers like Steven Meisel and Tim Walker. Widewalls: Where do you see the place of figurative painting in the contemporary art scene? KF: I’m not concerned with my place as a figurative painter. I prefer to keep my head down and develop my work independently. That is the only way to be true to oneself. Widewalls: Could you share some future plans and projects?KF: I’m due to give birth to by second child in 12 days. Beyond family and home life, I will be starting a new body of work. I have also been playing with the idea of producing sculpture or making a film with my husband. He inspires me every day. All images courtesy of the artists and Corey Helford Gallery.